Obituary for Winston A. Tobias | E.F. Boyd & Son, Inc.
Mr. Tobias passed peacefully on September 3, 2018 at his residence. 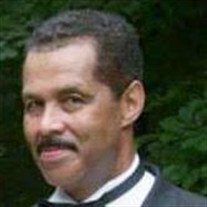 He leaves to mourn his passing three loving daughters; Shelley Tobias, Tiffany (Dezmon) Smedley, and Whitney (David) Riegelmayer; one brother, Roy; two sisters, Marcia and Lorraine; two grandchildren, Ashanti and Abria, and a host of other relatives and friends. Memorial services on Saturday, September 22nd at 11:00 am at Henn Mansion 23131 Lakeshore Blvd. Wake will begin at 10:30 am.